Power Flame manufactures a wide range of different burner-types, fitted to a variety of commercial and industrial needs, and they have long been a top manufacturer of water tube burners. What Are Water Tube Burners? Water tube burners power water tube boilers, which utilize an internal combustion chamber to heat and circulate hot water/steam through a network of internal tubing. Steam produced by the burner will then rise and fill a steam drum, where "wetter" steam is scraped off the top, creating "dry steam." Dry steam, which is needed to drive moisture-sensitive turbine blades, can also be created in water tube boilers by "super-heating" steam above the boiling point. In the past, fire tube boilers/burners were use for many applications now handled more efficiently by water tube burners and with less danger of "catastrophic failure" due to smaller volumes of water being in the boiler at any given moment. How Are Water Tube Burners Used? Power Flame makes two burners that are engineered for high-efficiency, high-volume water tube applications, though these burners are also versatile enough for use in non-water tube applications as well. 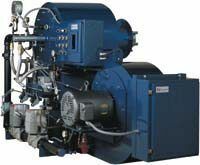 The Power Flame CMAX burner is engineered for modern water tube or fire tube boilers. It can be fueled by gas, light oil, or heavy oil, while achieving high energy efficiency, a high turn-down rate, and capacities as high as 1.26 to 92 million BTUs per hour. The CMAX is a high capacity, forced draft burner that offers exceptionally stable combustion due to its specially designed firing head. The CMAX comes fully assembled for easy installation and has an easy-access door for quick maintenance. It is available in multiple sizes, as a low-NOx burner, and with numerous modular add-ons. The Power Flame Vector burner is a forced-draft model that can run on gas or light/heavy oil, while achieving high efficiency at capacities of 16.8 to 63 million BTUs per hour. It works well with water tube and fire tube boilers, heaters, and industrial process equipment. 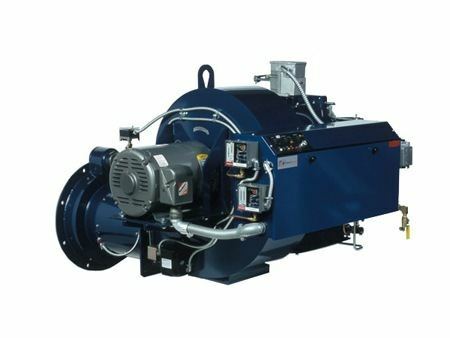 The Vector offers high turn-down rates, low NOx rates, and advanced features that place it a step above other medium-to-high input combustion systems.